Fun to learn to tell the time! Children will have hours of fun with the Tell the Time magnetic learning clock as they learn to tell the time in words, digital and 12/24 hour-clock, stage by stage. It features rotating hands and 68 colourful magnetic pieces including activity pieces to associate the time of day with their normal activity. 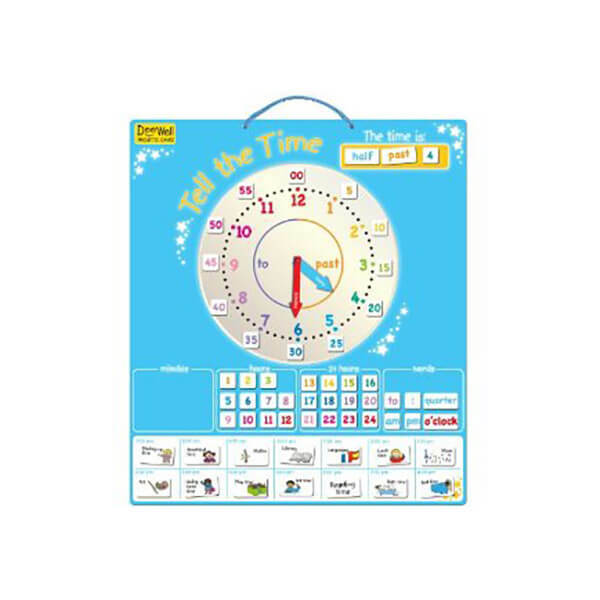 Children will have hours of fun with the Tell the Time magnetic learning clock as they learn to tell the time in words, digital and 12/24 hour-clock, stage by stage. 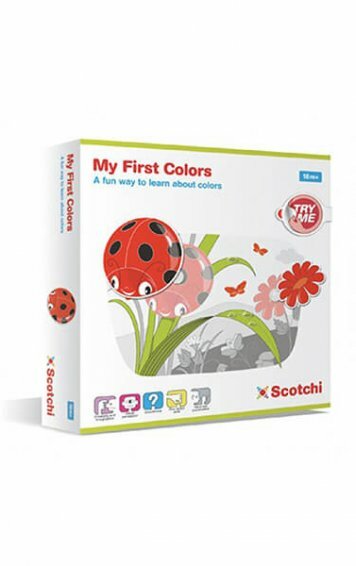 It features rotating hands and 68 colourful magnetic pieces including activity pieces to associate the time of day with their normal activity. 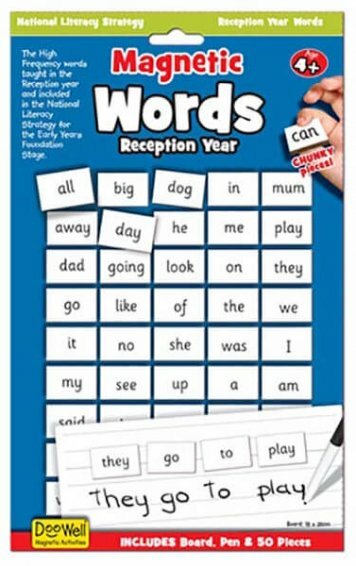 Also included are lots of colour coded pieces to learn minutes, hours and the time in words. The included teaching guide will help parents and teachers educate their children with this tricky but vital concept. 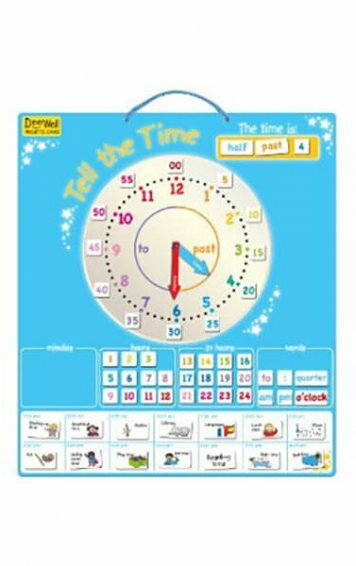 Teaching Tips: Telling the time is quite a tricky concept for children to get to grips with, so it is best to learn in stages:- Start with “O’ Clocks” (1 o’ clock, 2 o’ clock…) and use the activity pieces to associate the time of day with their normal activity to help reinforce genuine understanding. When they are ready, introduce ”half-past”, “quarter past” and “quarter to” the hours. Then, start to practice the digital time before moving onto more complex times eg. ‘25 minutes past/to..’. Do be patient, though! It can take weeks or months to understand a stage. As with all learning it is best to spend a few minutes regularly rather all in one go. 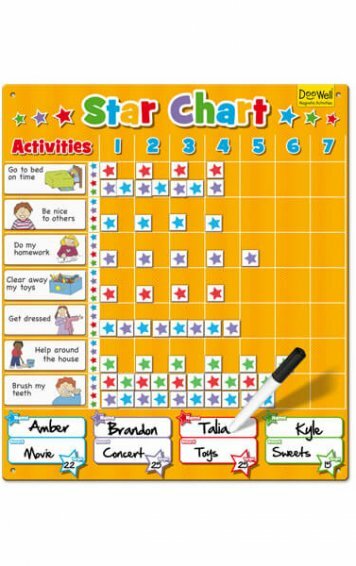 Wherever possible refer to the time during the day so your children can see the relevance to their days.